Midnight Ruby Rhododendron-Hybrid Rhododendrons- Rainer Rhododendrons Nursery, Washington. 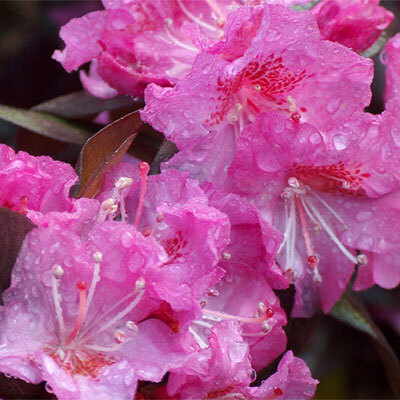 Midnight Ruby Rhododendron has wavy reddish-purple blooms with a yellowish eye. Interesting dark foliage during the fall and winter.